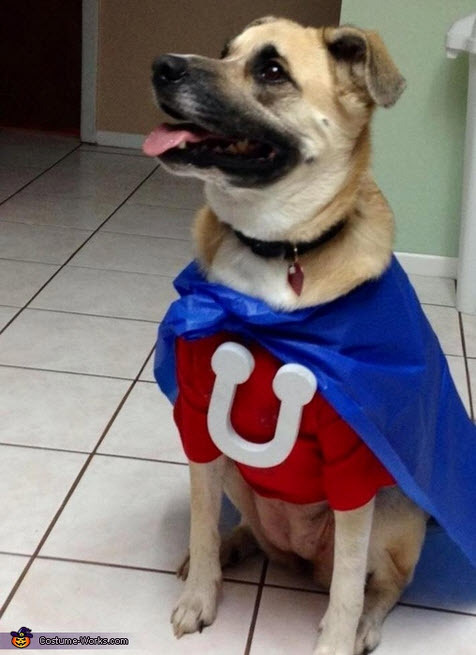 Dress your dog as a superhero! Find a red shirt that will fit your dog well, such as a kid’s shirt. Cut a piece of craft foam into the letter U and glue the U onto the front of the shirt. Cut a rectangle of blue fabric for the cape and tie the cape on your dog.